We love to think that the taste of coffee is not the one that you have always known. The secret behind the preparation of a good coffee is “listening” to the origins and entering distant worlds, in order to choose the right technique of preparation. Every bean tells its own story. In Italy, espresso is the definition of coffee: strong, intense, fast and full-bodied. But in our opinion, coffee has many more personalities and many more stories to tell. For this reason we’ve studied other coffee preparation techniques, in order to make the most of each origin’s special features and exalt the specific taste, body and aroma of each of them. A filter method. Inside a “drip” (cone body with a hole at the base) a paper filter is put which gets wet first and then filled with coffee powder for the pre-infusion. Then the coffee brewer places a cup under the “drip” to collect the coffee which will start to drop slowly from the filter as the brewer adds step by step more water to complete the infusion. 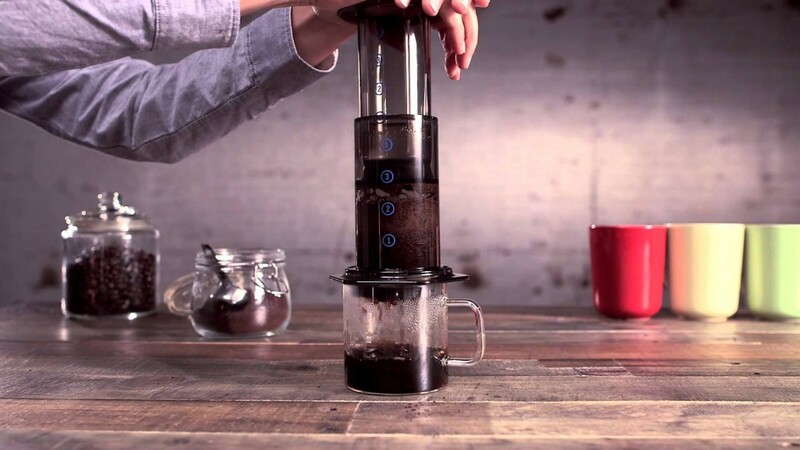 This preparation technique is based on two concentric hollow cylinders into which a mixture of ground coffee and hot water will be poured. One of the two cylinders gets reversed, applying pressure on the cup in which the coffee is collected. Compared to the filter method, the temperature of the water used here is lower (78-85°C) and the infusion lasts only a few seconds. Moreover, one can decide to play with the grinding degree of the coffee to create a more – or less – intense taste. This preparation method gives the coffee a refined taste thanks to the homogeneous distribution of heat inside two separated compartments placed one above the other. The steam rising from the hot water in the lower compartment pushes the water into the upper compartment where it gently mingles with the coffee powder. As soon as the infusion compartment cools down, the coffee will follow the way of gravity and filters back down into the lower compartment.